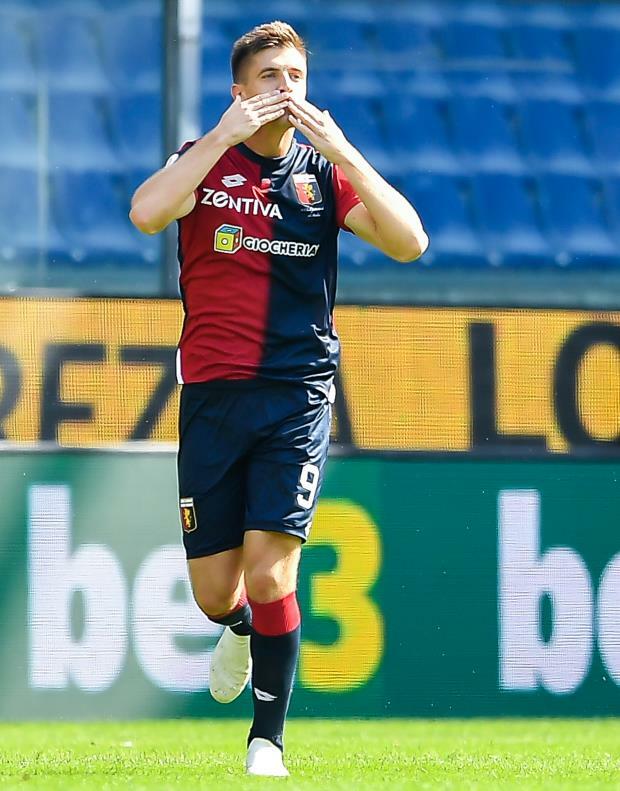 Genoa CEO Giorgio Perinetti has indicated that the club are expecting to meet AC Milan soon to discuss a possible transfer for West Ham target Krzysztof Piatek. Piatek’s future at Genoa has under the microscope over the last few days after it emerged that AC Milan want to sign him as a replacement for Chelsea-bound Gonzalo Higuain. West Ham have also stepped forward to sign the Poland international and have even tabled offers to sign him, but Genoa would prefer to sell him to AC Milan in the winter window. But the Rossoneri are yet to slap in a bid for the striker and Perinetti insisted that the two clubs are yet to sit across the table for discussions over a transfer. However, Genoa are aware that AC Milan want Piatek and the club CEO admits that they expect to hold talks with the Serie A giants sooner rather than later. Asked if Piatek will leave Genoa, Perinetti told Italian radio station Radio Crc: “I don’t know. “We would find it hard to get rid of our striker, but we will have to listen to the offers first. “Nothing has been done yet, we have only read about a contact with Milan, who told us that they wanted a meeting after the Italian Super Cup. West Ham remain interested in the player and have matched Genoa’s asking price for Piatek.